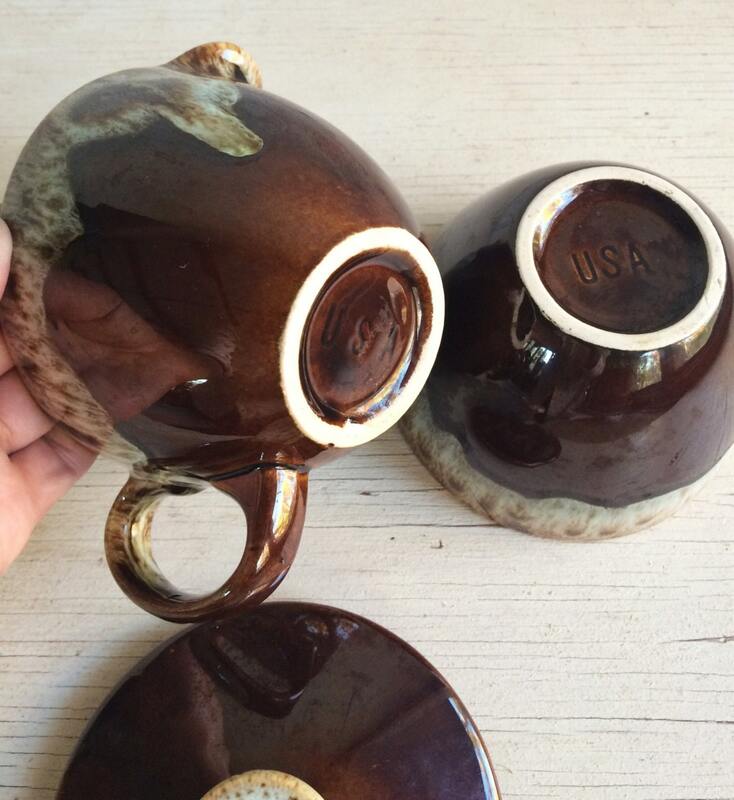 Here we have a set of green and brown drip pottery creamer and covered sugar bowl, embossed on the bottom with USA, in the style of Canonsburg or Hull or McCoy midcentury pottery. Carries a beautiful almost metallic glaze, and just gorgeous green with hints of sage and seafoam. 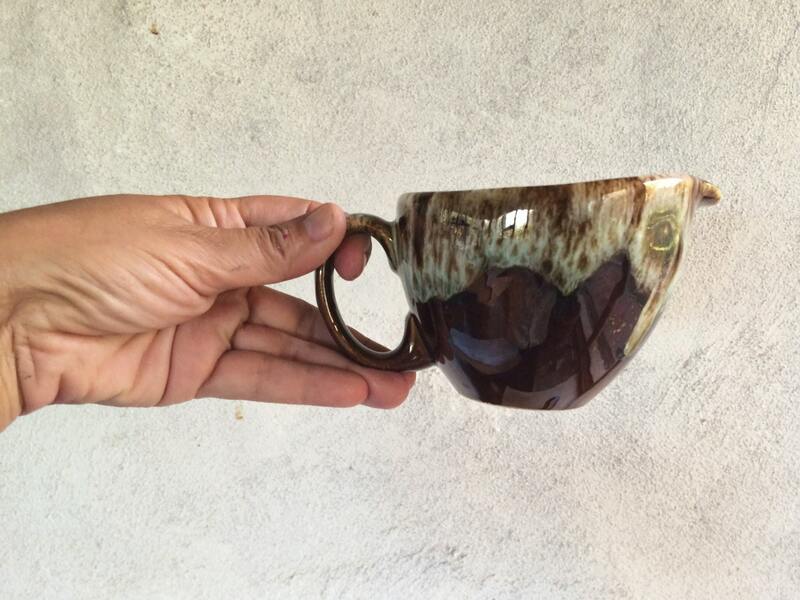 Perfect for so many styles--farmhouse, primitive, midcentury, even the crisp and clean modern style with earth tones. 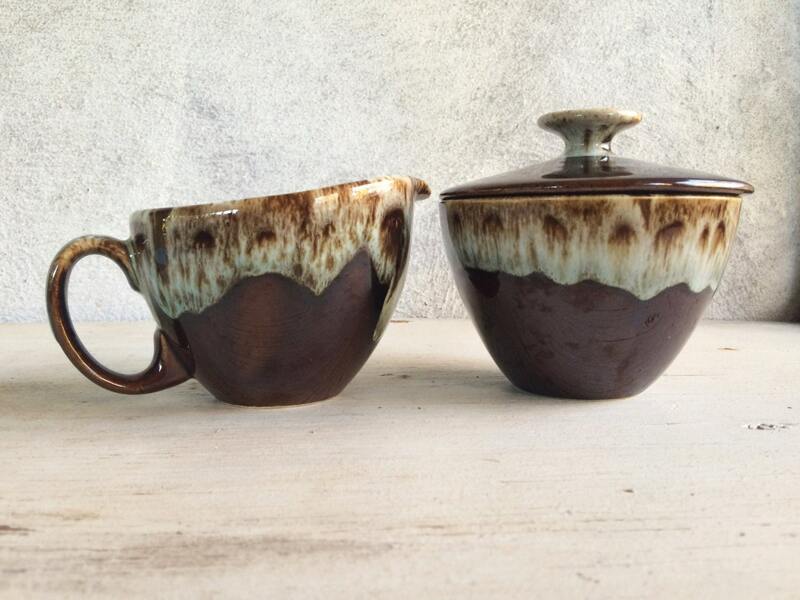 The creamer is 3-1/2" tall at the tallest point (the lip of the pitcher) and about 4-1/2" across at the widest point (also the lip), not including the handle. 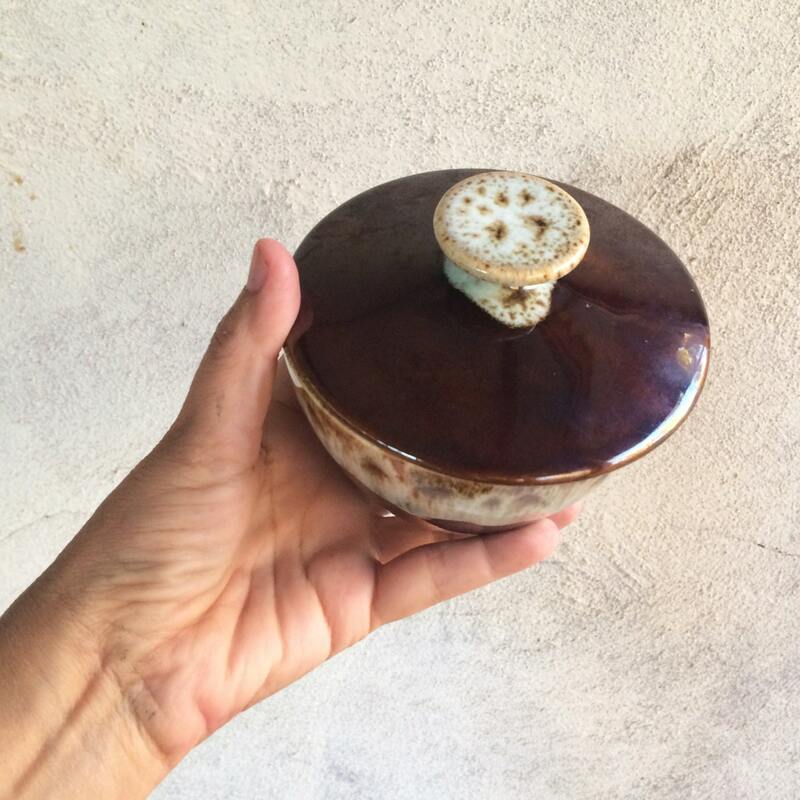 The covered sugar bowl is about 4-1/2" tall to the top of the knob on the lid, with a mouth just under 4-1/2" in diameter, and weighs over 1-1/2 pounds alone. 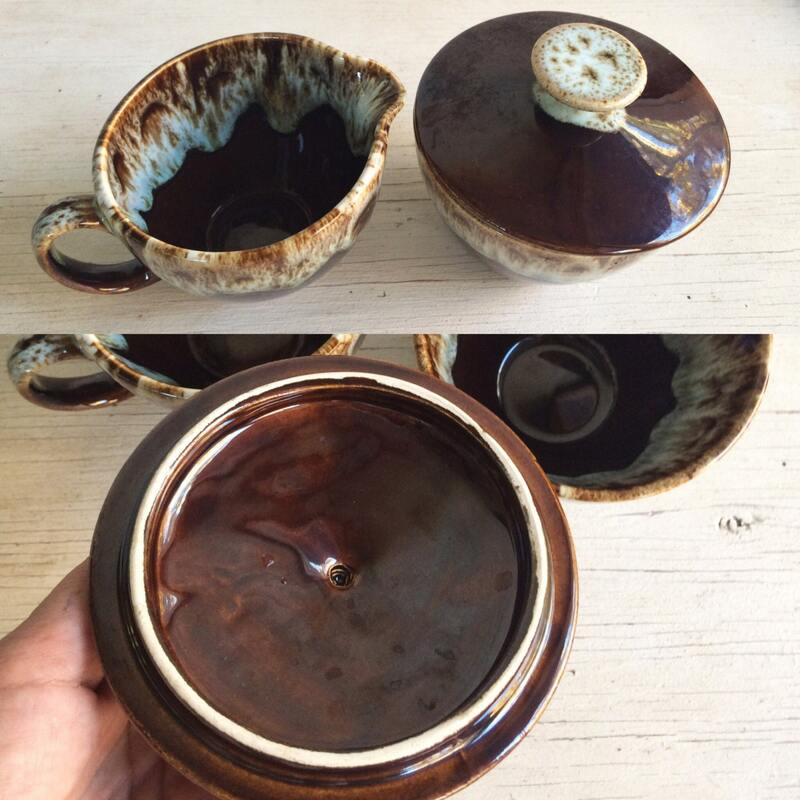 The pieces have just the most minor of small flea bites (most around the base and none on the rims, and the creamer handle has some wear along the edge from use. But no major chips or cracks, and actually in great vintage condition. Beautiful green and brown that will bring back memories of a warm kitchen.